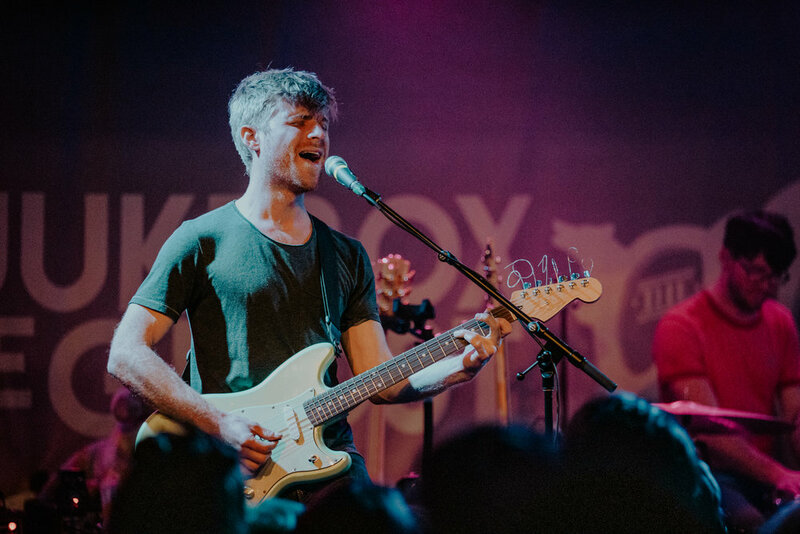 Fans gathered in Phoenix Arizona this week to dance and get down with Jukebox The Ghost. The show was full of laughs, epic fanfares, and melodious harmonies. The venue was full, and the trio managed to fill every inch of the room with their boisterous sound. Front man Ben Thornewill led the group; sitting at his keys for most of the show. Even at a sitting position, Thornewill captivated audience members with call and response and other engaging moments that proved just how experienced Jukebox are when it comes to owning the crowd. The band played hits such as Fred Astaire, Everybody’s Lonely, as well as brand new singles like It’s No Secret. As a long time fan of the band, I had a massive smile on my face the entire time. It’s no secret that this group puts on a spectacular show whilst paying a large tribute to one of their main influences, Queen. After a much-anticipated wait for the encore song, Jukebox came running on stage with Co-Liners, The Mowgli’s to perform a much anticipated (you guessed it), We Are The Champions. Newer PostThe Lottery Winners - This is Entertainment!